Walking through the suburbs in Mooloolaba can provide an glimpse of what lies beyond the high fences and garage doors. WATER! 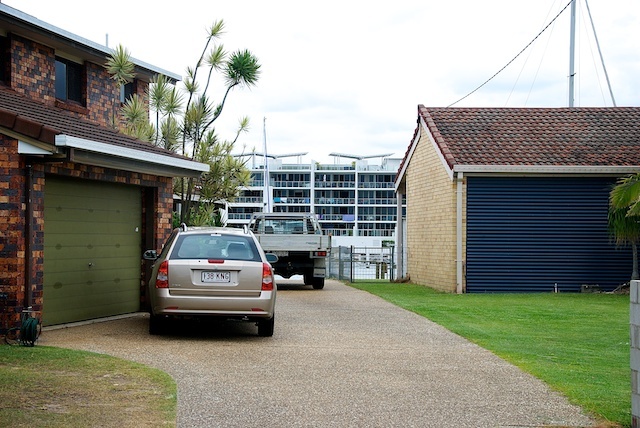 Many houses are actually built on waerways providing boating access to the rear, although this is rarely visible from the street. Here, a waterfront block of apartments looks back across the harbour.